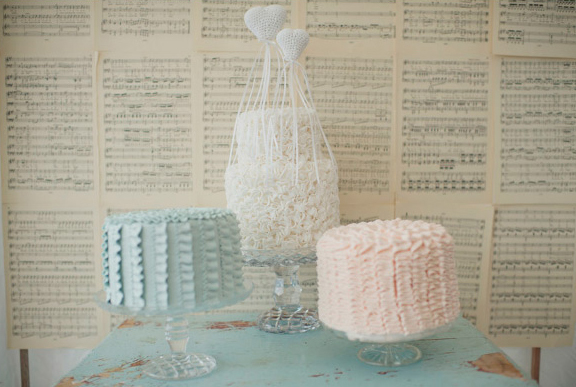 Stunning ruffle wedding cake ideas in various different color schemes. 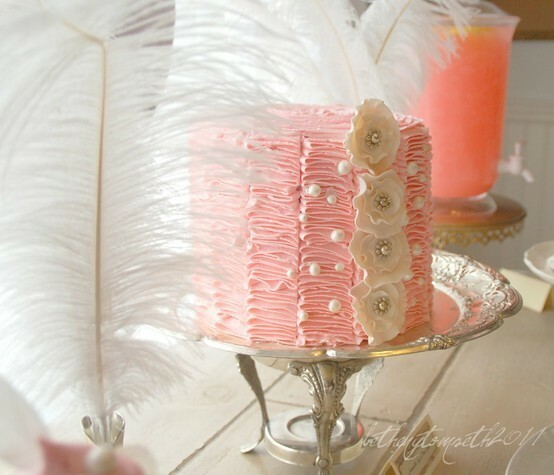 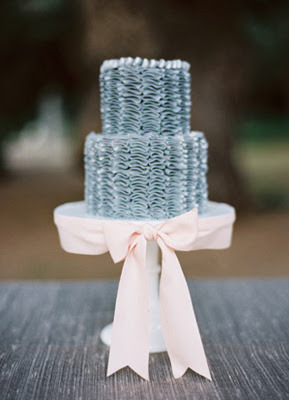 Simple cake design with a touch of elegance and whimsy! 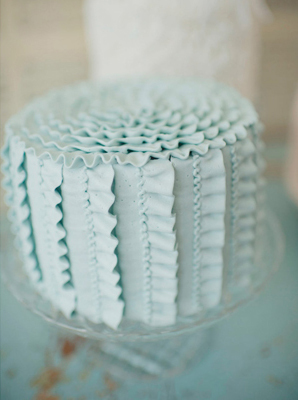 First we lovely two tier ruffled wedding cake in a muted opaque blue. 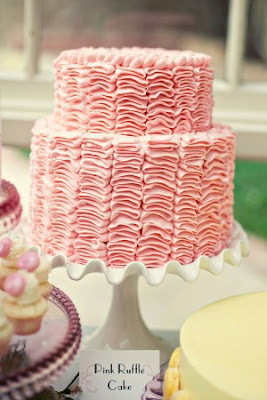 Pink ruffled cake set over two tiers. 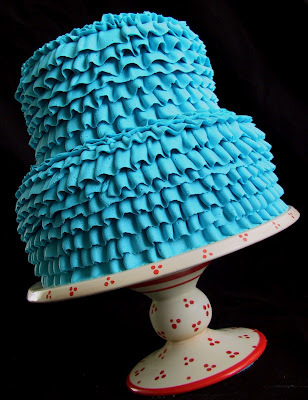 Brighten things up with this amazing turquoise! 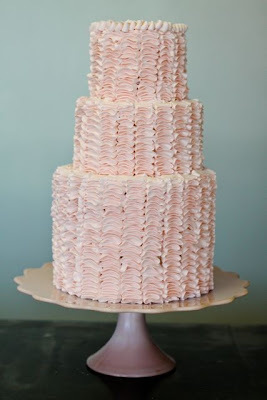 Beautiful round, three tier ruffle wedding cake in a light pink. 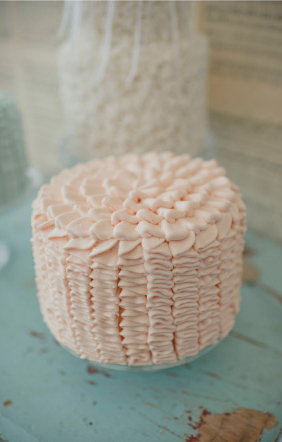 Delicate single tier pastel pink ruffle cake with white flowers. 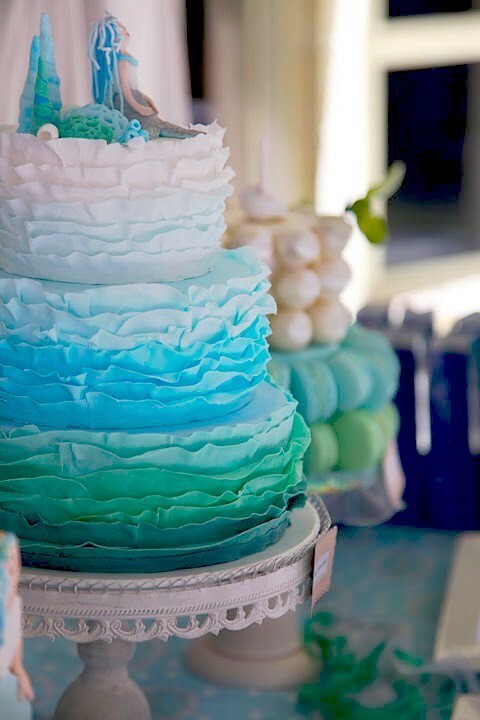 A gradient of blues to mimic the ocean. A nice and cheerful yellow. 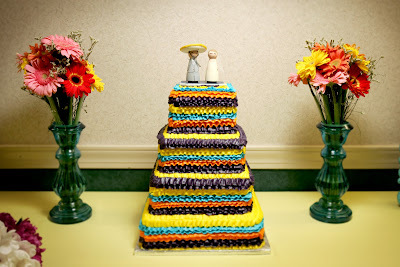 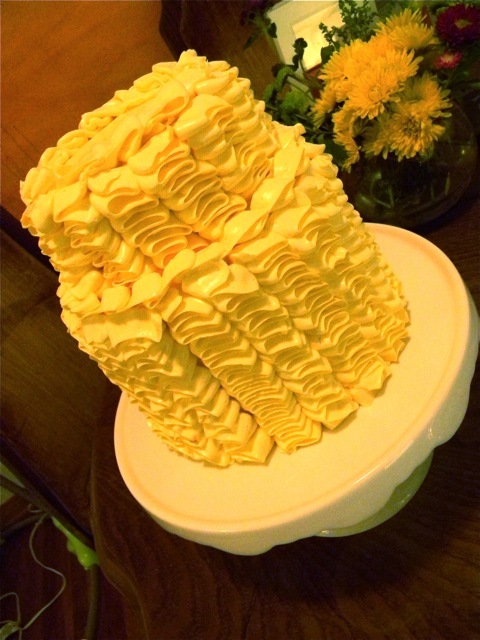 A multicolored ruffle cake in yellow, turquoise, purple and orange. 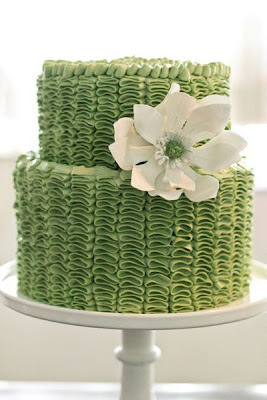 A wonderful pastel green ruffle wedding cake. 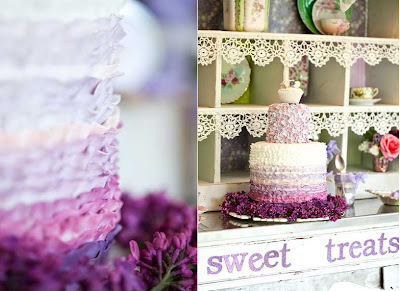 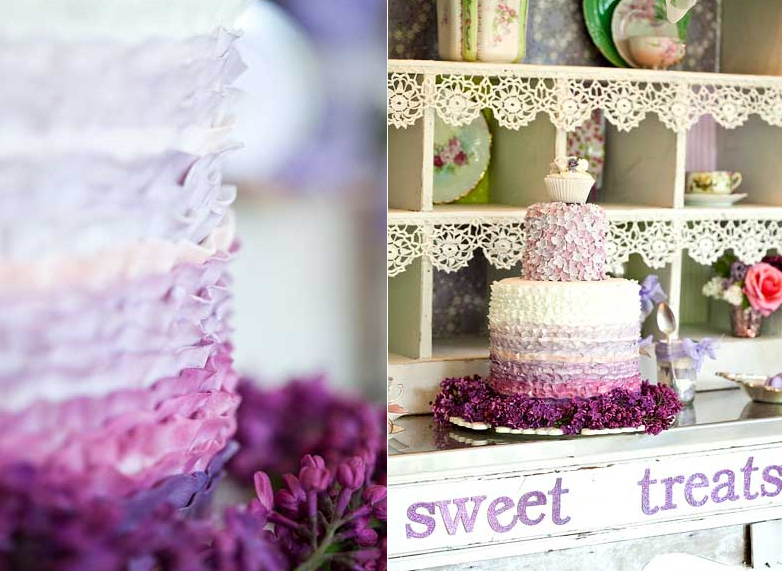 Gorgeous purple gradient ruffle wedding cake. 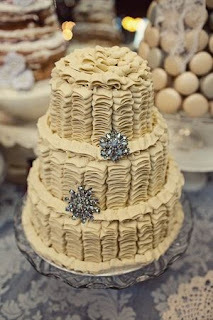 Ivory ruffled wedding cake set over three tiers. 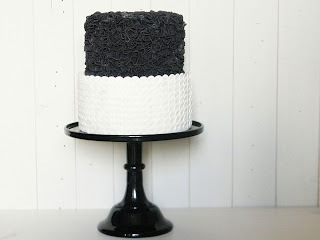 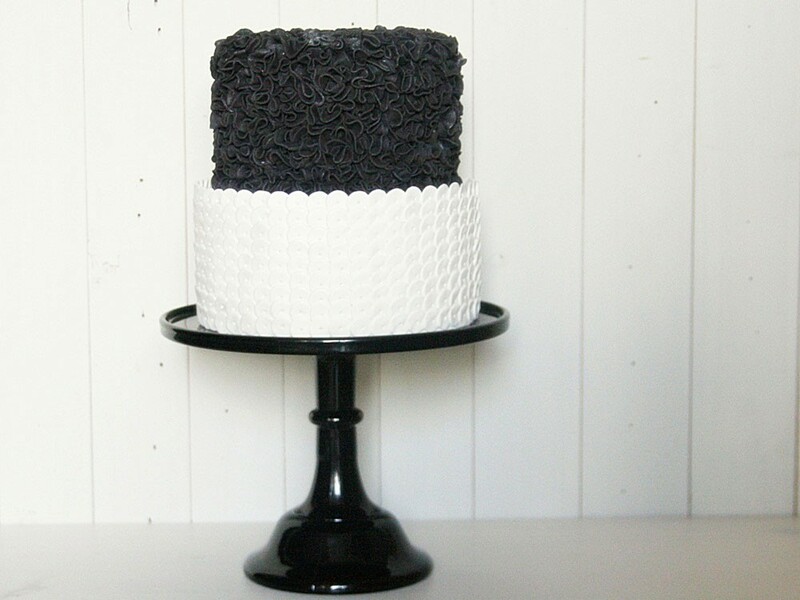 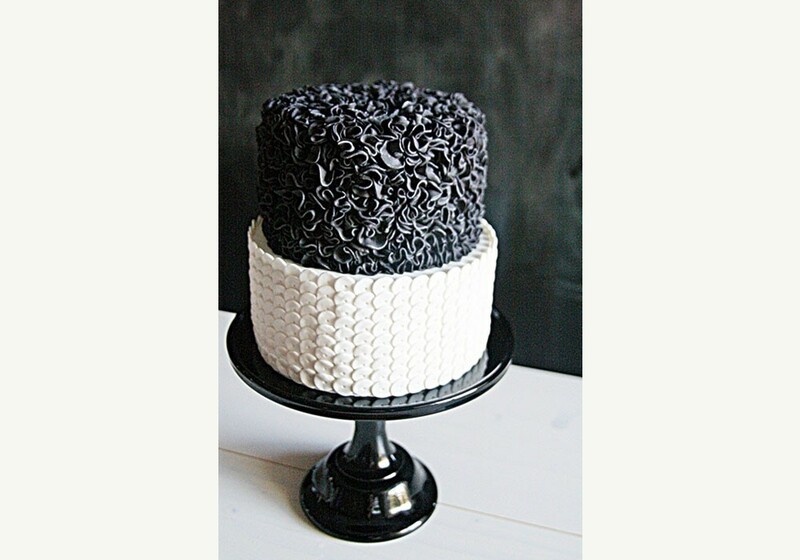 A very chic two tier black and white wedding cake from Sweet Bloom Cakes.